Tell Me Something Tuesday with Elena: What to you makes a good book? 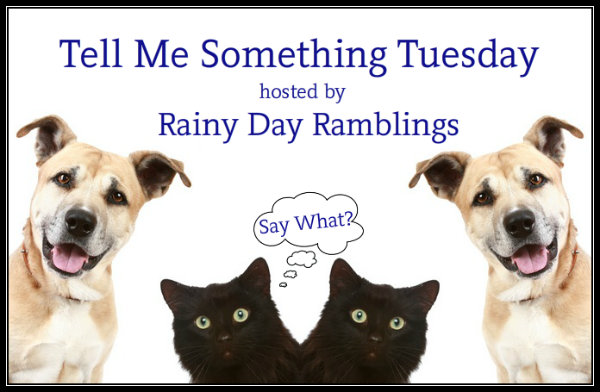 Tell Me Something Tuesday is a weekly discussion hosted by Rainy Day Ramblings. What to you makes a good book? Thousands of book get published every year, but are they all good? Not really. -have great dialogue: dialogue is very important to me. If it’s sappy, predictable or flat I just won’t go on with the book. -have strong characters: the characters have to fight for what they want, and show me some kind of willpower and inner strength, otherwise I’ll close the book. -be thought-provoking: I love novels that offer some food for thought, that make me ponder on several aspects of life. I like for the book to engage my brain. This entry was posted in Books, Favorite Books, Tell Me Something Tuesday and tagged Books, Good Books, Tell Me Something Tuesday. For me, it’s all about character investment. Whether I like the character or not, if I am invested in them, I more times than not, will enjoy the story. Even with the most simplistic story line, an invested character will carry the story well.